What we did: Reading Pals is a nonprofit literacy program in Chico that has returned to work with TGC for a second semester. 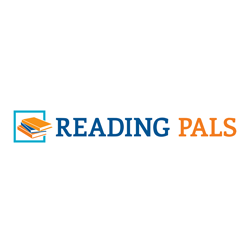 Reading Pals provides children who do not read at grade level an opportunity for success through one-on-one reading sessions with a committed volunteer. 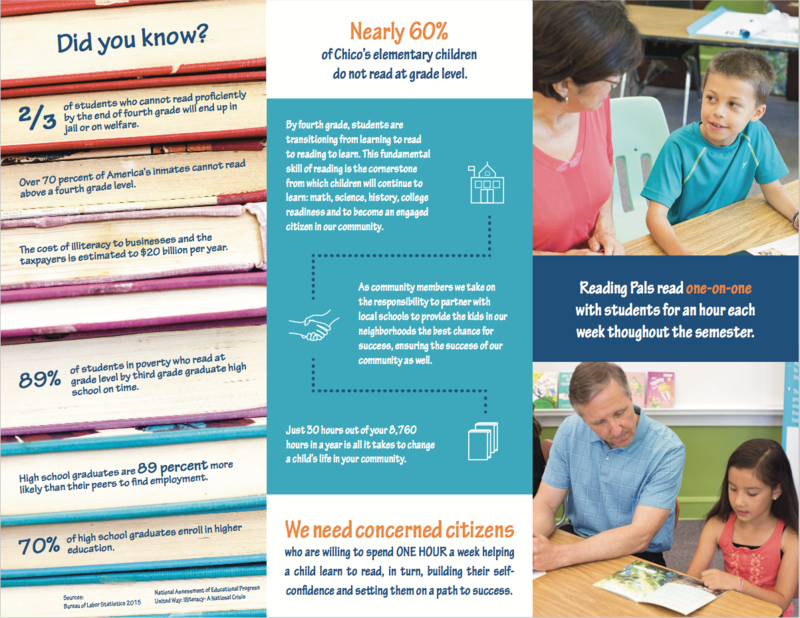 The program partners with Chico Unified School District and reads at four elementary school campuses. Our staff worked closely with the founders of Reading Pals to create collateral, social media strategy and content—including a brand video for community outreach. Our graphic designers produced an organizational brochure that tells the story for Sac Valley Rice Co. and how their rice produced. We also created two unique bookmark designs tailored to the target audiences: a general bookmark for adults as potential volunteers and donors, and a coloring bookmark designed for children.